How a second year engineering student started RarePlanet to get rare things over web? Words are not always necessary to create great stories. Sometimes a good story can also be written with innovative creations. A Kolkata-based 19-year-old young entrepreneur Ranodeep Saha is exactly doing the same thing with his start-up venture Rare Planet. Ranodeep, who is still a second year computer science student, successfully runs his e-commerce portal along with his study. Why we chose Rare Planet as Startup of the Week? The startup has been launched by a 19 years first year engineering student. 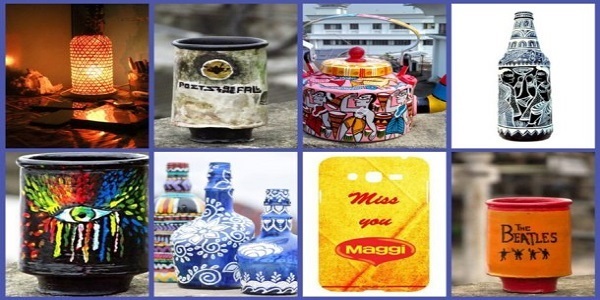 The startup recycles the waste products and make then reusable. Today rare planet gets 20000 visitors a month. It has a customer base of 6000 in just a year. Apart from selling its products online, it is selling through offline mode too. It has opened stores in Singapore and Italy to sell its products. It plans to open stores at all the top Indian airports. Ranodeep entrepreneur journey started when he had breakup with his girlfriend and despite of throwing himself behind the walls, he diverted his mind towards positive path and with the motivation from his family members, he founded Rare Planet in June 2015. 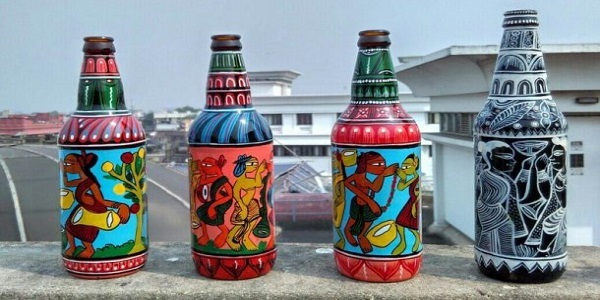 Instead of throwing himself in depression at this age, he started making things that his girlfriend was fond of. 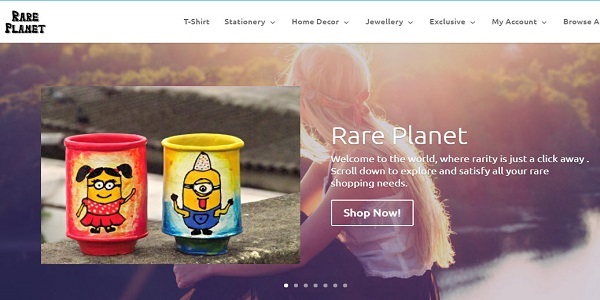 Rare Planet is a place to purchase unique items like a painted bottle or a minion cup or a well-designed pen stand. These are few from the list of long offerings. The idea to use old and waste stuffs came to Ranodeep when once he saw a dusty earthen pot lying since many years in his house. He wanted to do something creative on it and then using color in his hand, he drew the symbol of Harry potter on it. It was the start and then after he never stopped and launched RarePlanet to showcase the creativity with old and waste items. With the dedicated effort of Ranodeep Rare Planet today has user base of 6000 in a short span of just a year. It has now 20,000 visitors a month on its online portal. Rare Planet not only sells online but also sells offline through various gift stores in all across country. Rare Planet made its debut in International market with its products in Singapore and Italy and aims at capturing the world. Ranodeep’s next big plan is to open up a “Rare Planet” store at Delhi T3 airport and so at all other major Airports all across the world and make a way for Indian Handicrafts in Global Market. Rare Planet provides gifts to corporate houses like PayUmoney, Nasscom 10,000 Kolkata and others. Ranodeep’s next big plan is to open up a Rare Planet store in Delhi T3 airport, then slowly expand to all other major airports all across the world and make a way for Indian Handicrafts in Global Market.